Do you remember that old chenille bedspread on your grandparents’ bed? The fluffy one with a fringed hem that had a certain mothball scent to it? Well these old family favourites are now being used in an delightful new way. Discovering Leah Littlehales’ gorgeous handmade creations took me on a trip down memory lane. A clever designer from country Victoria, Leah has collected all sorts of wonderful vintage fabrics and old bedspreads which have inspired her designs. Her particular love of chenille has helped create a divine collection of baby rattles and soft toys. All Leah’s creations have a delightful story attached to them and come to life with their own identity. 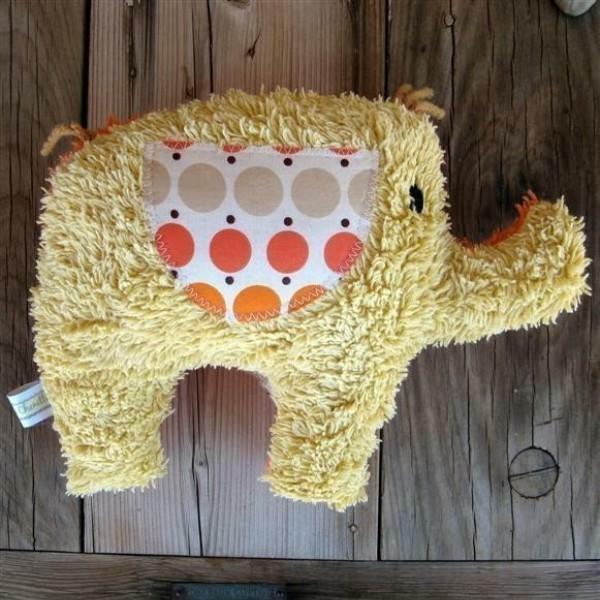 Daniel the elephant (pictured top) has been created from several old chenille bedspreads, with emboidered facial features and co-ordinating cotton print ears. 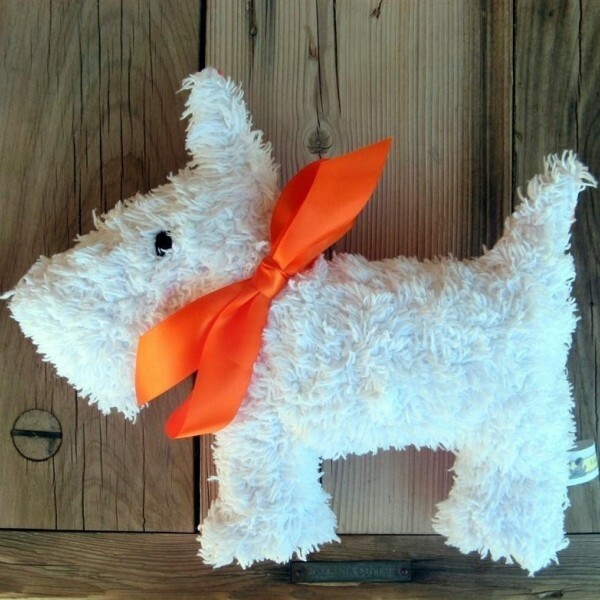 This adorable Scottie dog is called Kelsy and she is made from white shaggy chenille with a bright cotton print reverse. 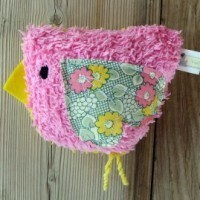 Cute, cuddly and lovely to hold, this sweet handmade fluffy toy is sure to be a favourite. I love it! Leah’s irrestistable baby rattles have their own little story too and no designs are ever exactly the same. 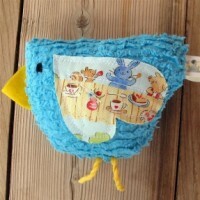 Enid, Nora and Freda are chubby little baby safe birdie rattles created using Leah’s signature vintage chenille and some vintage printed cotton fabric. 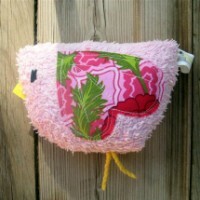 You can find Leah’s designs on the Etsy website where she has a great following. Her range starts at around US$15, with shipping available to Australia. To all my friends out there who are having babies, guess what baby rattle you’ll be getting?